The ultimate kabayaki sauce used in a restaurant that specializes in eel dish in Japan. 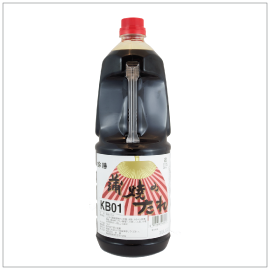 Suzukatsu brand Kabayaki Tare is designed to enhance delicious aroma when making eel or any fish kabayaki. The well-balanced savory-sweet flavor is so versatile that this condiment can be used for teriyaki, nimono, and other dishes.